Our friends over at Spawning Pool Studios sculpted this amazing design of a Mary Jane Pin-Up Statue. Objex Unlimited printed the design on a ProJet 3000HD. Amazing work guys! 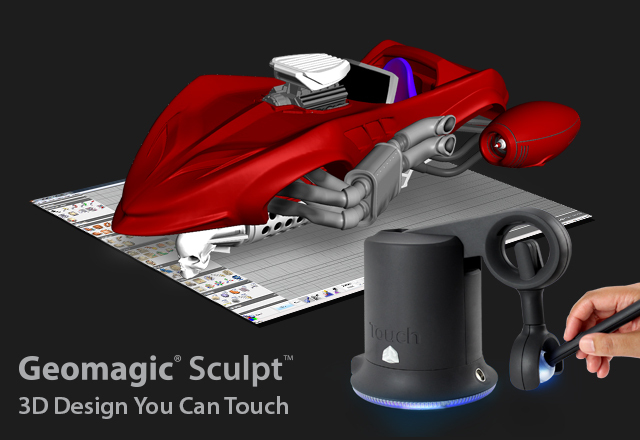 ROCK HILL, South Carolina, October 29, 2014 – 3D Systems (NYSE:DDD) announced today the immediate availability of its new Geomagic®SculptTM 3D modeling software with TouchTM haptic 3D stylus. Geomagic® Sculpt erases the boundaries of solid modeling, empowering the freedom of designing complex, curvy and organic shapes. With precise positioning input and instant force feedback that mimics the sense of physical sculpting, the Touch 3D stylus adds the ability to literally feel what is being created. Touch uses the power of haptics to allow users to feel every shape, every texture and every curve in design creations. Together, they are the most intuitive way to design functional and beautiful products, and enhance existing product design workflows. Incredible Detailing Tools – Fine tune even the smallest elements and make your products stand out. Geomagic Sculpt lets you bake textures of any complexity into virtual clay and perfect them for the ideal look and feel. Design flourishes, which are often impossible in CAD, are simple to do in Sculpt – just import any image and go. 3D Print Ready – Always be ready for 3D printing with Geomagic Sculpt’s voxel-based modeling engine. Coupled with its automatic 3D printability analysis, Geomagic Sculpt lets you optimize designs on the fly for printing and will even check for common printability issues like feature size and proximity, flagging them so you can make changes before you print. We have entered the next manufacturing revolution, and here is the proof. Using 3D printing to build a rapid prototype, the guys at WHYcase were able to go from concept to final product in less than 7 days. Watch the video below to see how they did it! The product they made was a case for the iPhone 6. Since the phone was announced in September to be released later in the month, the guys at WHYcase challenged themselves to make a product to serve the demand for all those brand new iPhone 6 and iPhone 6 Pluses. WHYcase used 3D scanning to obtain a very precise iPhone 6 CAD design. The case was then built around the design and printed on a Direct Metal printer. The 3D printed metal is then polished to a nice smooth finish, as the original print is rough and not smooth enough to be used as a commercial mould. Could this be used for your next project? Do you have an idea that can utilize this rapid prototyping technology? Can your company utilize 3D Scanning or Direct Metal Laser Sintering in your manufacturing process? Let’s arrange a short time to discuss how these technologies can work in your favour! CubePro Available to Order! Here’s our review. 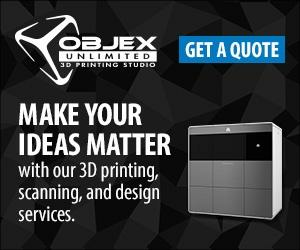 Objex Unlimited is happy to announce the arrival of the 3D Systems CubePro line of printers, including the CubePro, CubePro Duo, and CubePro Trio. We tend to deal a lot more in the Professional and Production realm of 3D Printing technologies here at Objex Unlimited, however, we were quite intent on receiving our first order of CubePros early September to test out. 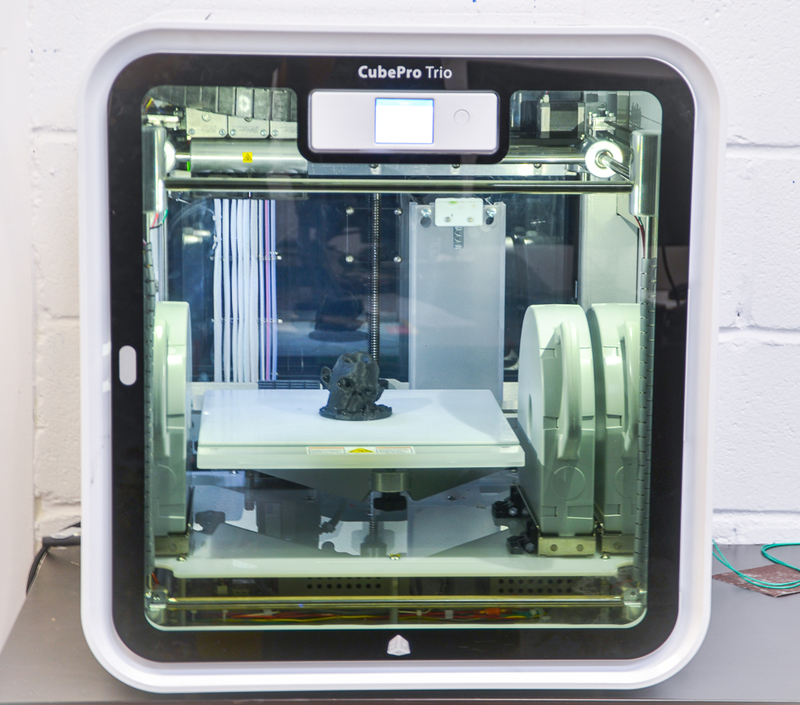 The CubePro line of 3D Printers falls into the Prosumer price bracket of Plastic Jet 3D printers, with the upcoming Cube 3 to represent the Consumer price level. While printers at this price point can be very hit or miss with the parts they create (more often a miss than a hit), CubePro has quite a few features that put it ahead of the competition. Additionally, even if you own a production level FDM printer, it’s always beneficial to have a machine with lower material and operating cost to experiment with in the office space. On this front, the CubePro delivers as an affordable and functional office printer for handling basic to intermediate plastic 3D Prints. A front shot of the CubePro Trio. High-detail prints, with a layer resolution up to 70 microns. Build platform size of 10 3/4 x 10 3/4 x 9 1/2 inches (275 x 265 x 240 mm). Prints PLA, ABS and nylon (coming soon) materials, with the ability to have different materials in the same print. 25 different colours available for each material. Available with single, dual or triple print jets. Stabilized print mechanics, easy setup, wireless connectivity, and fast print speed. After some issues with warping and edge curling with the CubePro’s predecessor, the CubeX, we were partially excited, partially nervous about what to expect with the latest from Cubify. And while there is always some finesse required with getting excellent FDM 3D Prints, we can finally say with confidence that 3D Systems has managed to improve upon many, if not all, of these issues. The older CubeX had an open concept, allowing both cool air (and human limbs, for that matter) to enter the build chamber during print operations. Not only is this a potential hazard, but a closed heated chamber drastically helps with the dreaded ABS peeling and warping issues. When a gust of cool air hits the first layers of your print and begin to cool it down, the difference in temperature of the hot plastic being extruded on top is apt for causing warping, mainly seen on the edges of the print curling off the print bed. Luckily, the CubePro boasts an enclosed, heated build chamber, addressing the major issues of the CubeX. We’ve also been quite impressed with the 70 micron setting, and the extra fine detail setting, both of which will heavily affect build times but will give a very impressive, smooth finish. Which brings us to software. The included CubePro software is easy-to-use and quite intuitive. While we have yet to get wi-fi printing working on our office network, loading files onto the USB key works well enough. Although the CubePro software won’t give you quite as much options to tweak your build as the open source printers, such as a Rep-Rap, it does include options for layer resolution, overall build strength, infill pattern, fill spacing, bottom and top layer heights, and outer wall thickness. Great FDM (plastic jet) printing at the price point. Higher layer resolution than other FDM printers on the market. Relatively user-friendly compared to similar printers on the market. Lots of material choices, with more to come! Will not print as well as production level FDM printers (nor should it be expected to at a fraction of the price). As with all FDM, some experimenting necessary to get the hang of the machine. 3rd-party material not supported (3D Systems claims this is to control inferior filament getting put through the extruder and potentially harming the CubePro). Subscribe to the Objex Blog! 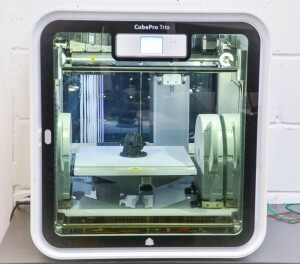 3D Printing tips for the CubePro, among other 3D Printers, to come shortly. https://objexunlimited.com/objexunlimited/wp-content/uploads/2017/11/OBJEX_LOGO_WHITE_17-copy.png 0 0 Objex Unlimited https://objexunlimited.com/objexunlimited/wp-content/uploads/2017/11/OBJEX_LOGO_WHITE_17-copy.png Objex Unlimited2014-10-15 16:51:012019-01-24 18:18:06CubePro Available to Order! Here's our review.